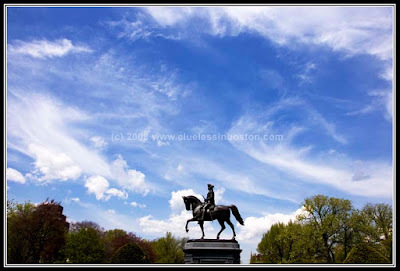 A beautiful sky surrounds George Washington in the Public Garden. Beautiful. I hope our skies are as blue today! Yesterday lovely reds, today lovely blues! I love your photos! I'm glad you said it was Washington because my first thought was Paul Revere! Wow, missed this one earlier....great photo, Slim, with a striking sky!